Occupy didn’t last but it put inequality on map. And the sentiments that fueled Occupy are still boiling. 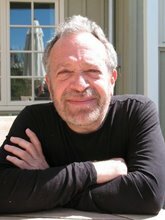 ROBERT B. REICH, Chancellor’s Professor of Public Policy at the University of California at Berkeley was Secretary of Labor in the Clinton administration. Time Magazine named him one of the ten most effective cabinet secretaries of the twentieth century. He has written thirteen books, including the best sellers “Aftershock” and “The Work of Nations.” His latest, “Beyond Outrage,” is now out in paperback. He is also a founding editor of the American Prospect magazine and chairman of Common Cause. His new film, “Inequality for All,” is now available on Netflix, iTunes, DVD, and On Demand. Bernie… vs… Donald… vs… Jill… YES!!! isn’t it time we finally reject the status quo – puppet/ lawyer/ politicians – on both sides of the aisle – neither “side” represents the interests of the 99%… even a little bit – once in a while.